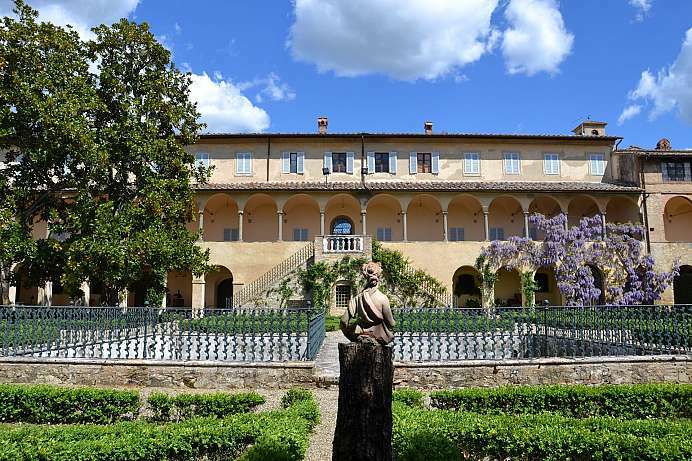 This scenic and culturally fascinating region between Florence and Sienna is considered to be classic Tuscany. 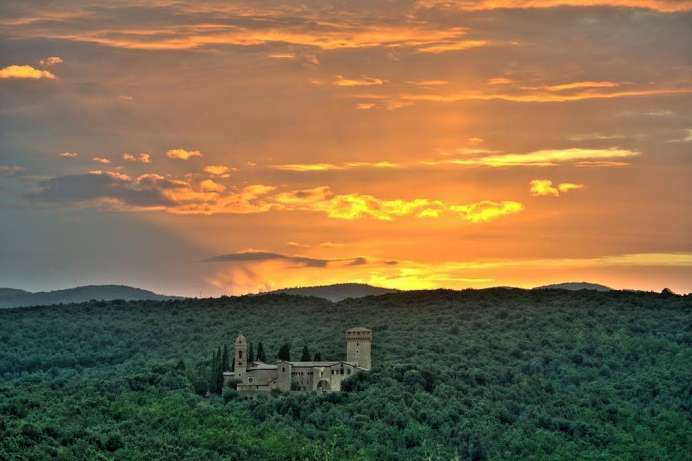 Vineyards, cypress trees, forests, idyllic wine villages and castles are nestled in the gently rolling hills. 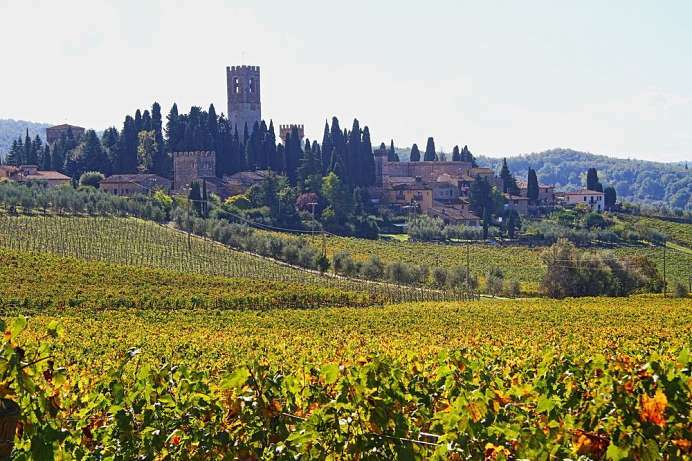 During the Middle Ages, Chianti was the scene of heavy fighting between the Tuscan cities of Florence and Sienna, a conflict that ended in 1559 with the annexation of Sienna by Florence. Since the best wines in Italy are made here, the name “Chianto Classico” has been a protected trademark since the 18th century. It initially included Radda, Castellina and Gaiole. Other areas to the East were added later. In the early 1990's Piero and Rosalba Giadrossi discovered this seven-hectare oak forest near Pievasciata. 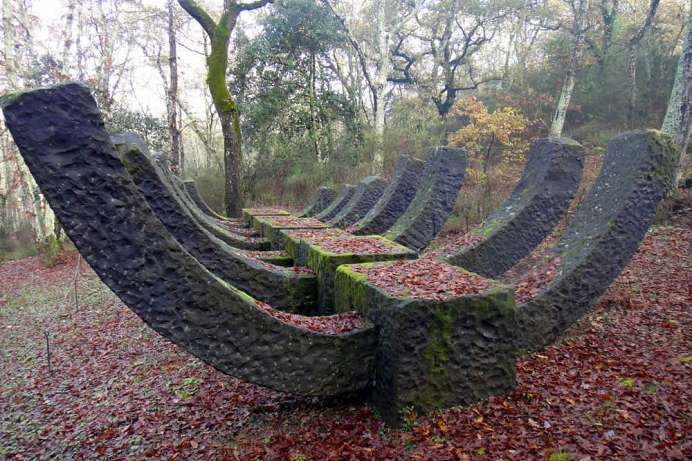 It offered the ideal conditions for their project – to present modern art in a natural context. The park opened its doors after five years of hard work. More than 20 artists from all over the world exhibit their work here. The peaceful surroundings lend their art a unique charm. 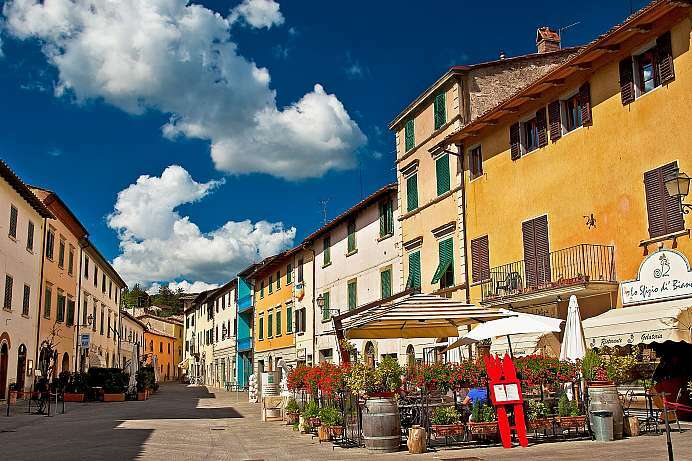 The center of this lively wine village is the triangular Piazza Matteotti, where the weekly market and the annual wine fair are held. Arcades and townhouses with chic boutiques and expansive balconies give the place a special atmosphere. In its center the statue of Giovanni da Verrazzano: a seafaring man and native of Greve who landed on the American east coast in 1524. 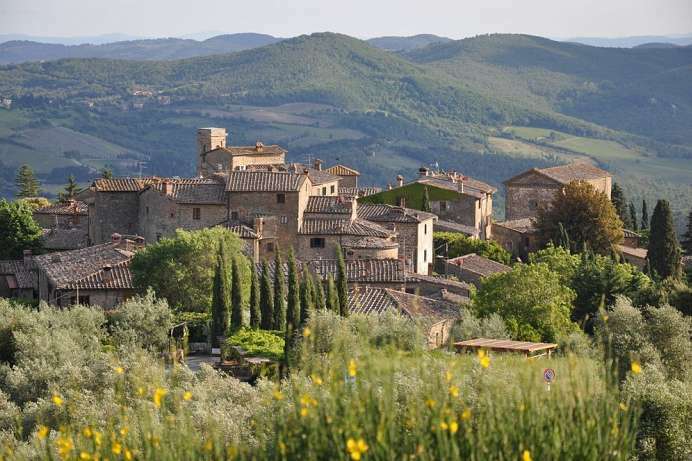 Above town in a picturesque hill setting lies the medieval castle village of Montefioralle. 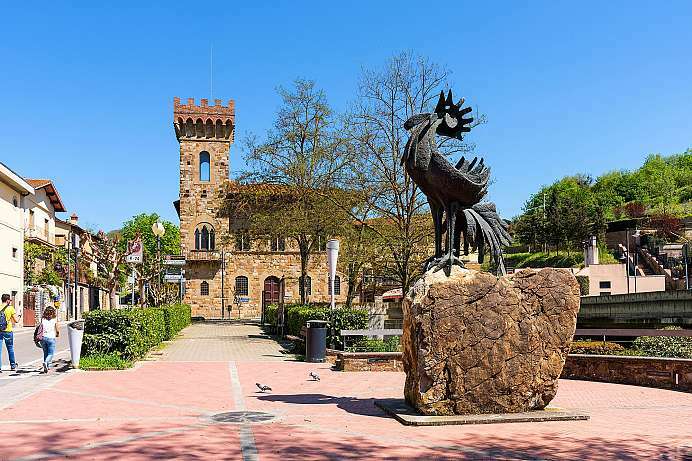 According to legend, Siena was founded by Senio, the son of Romo, who was one of Rome's founders. 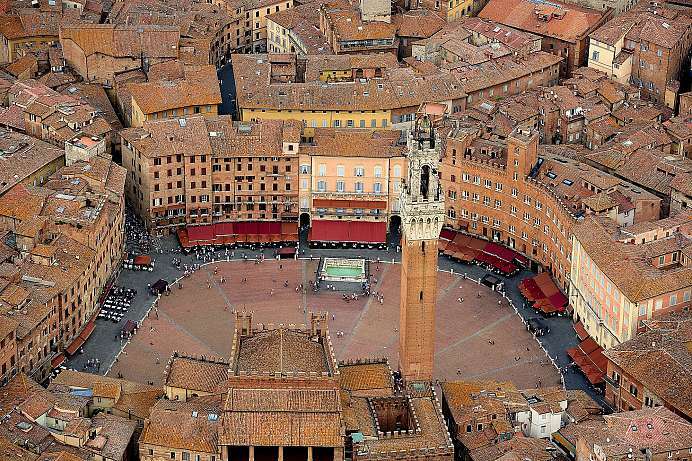 Siena is the most important city of art in Tuscany after Florence. 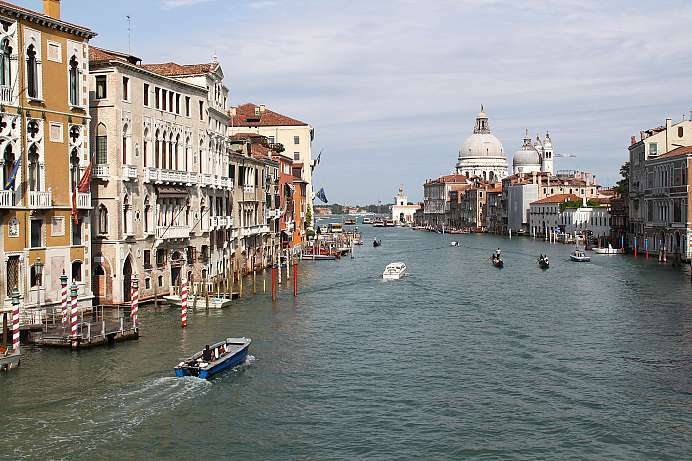 The city's main period of development was the Middle Ages, when the town expanded in various directions. Siena reached its full splendor in 1300, when most of the civil monuments were constructed, and an attempt was made to build the new Duomo. Siena was pre-eminently a Ghibelline town, and its rulers often “crossed swords” with the Florentine Guelphs in epic and bloody battles that shaped the history of the Italian Middle Ages. One of the most famous battles took place in Montaperti on 4 September 1260, when the Sienese defeated the Florentine army. A tragic plague epidemic in 1348 marked a very difficult period for Siena that led to its annexation into the Grand Duchy of Tuscany and the loss of its independence.